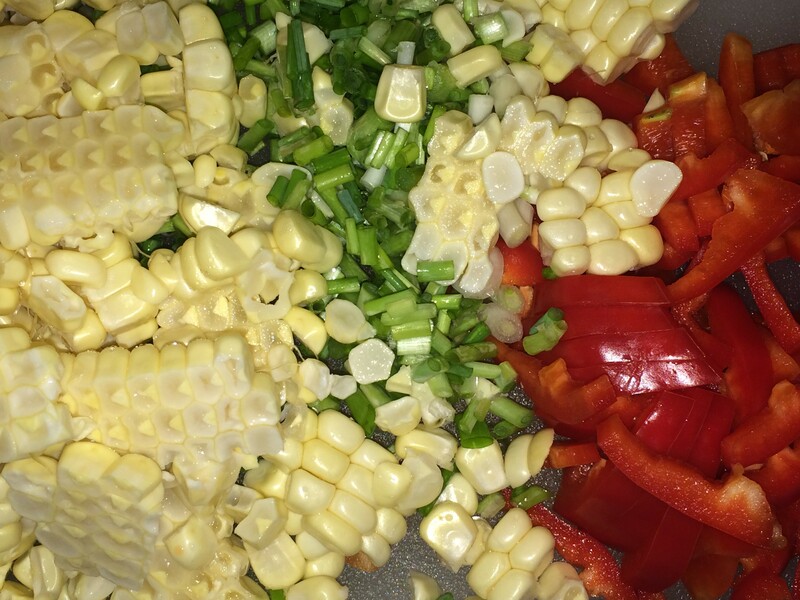 Fresh summer corn…yum. 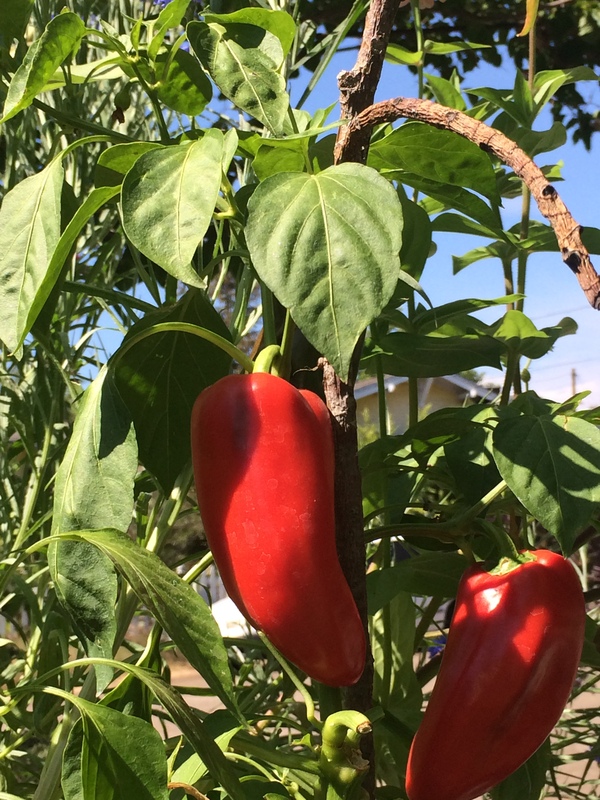 For a twist on the traditional cob serving, try serving it off-the-cob with other summer vegetables from your local farmers’ market or your garden. 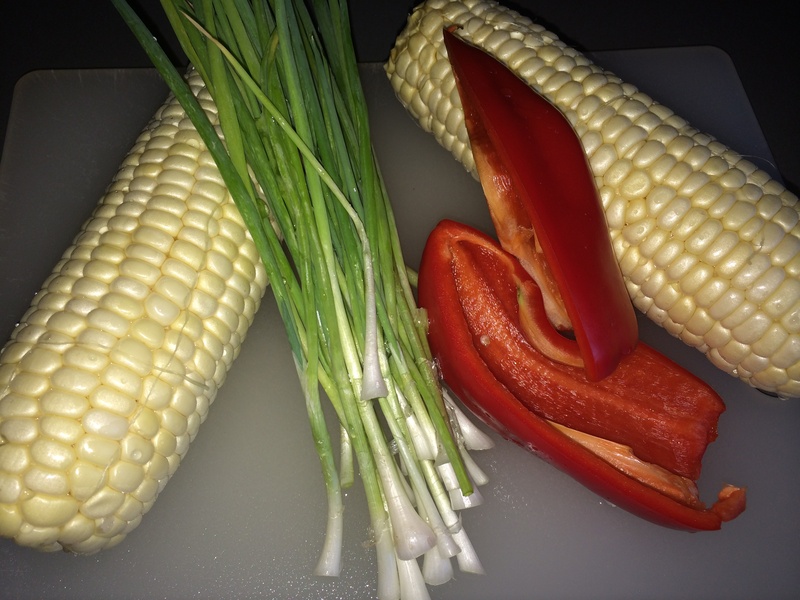 Our local farmers’ market, Stehly’s, had the corn, and I had red peppers and green bunching onions in the garden begging to be used, so voila! Corn off-the-cob. If you’re hungry for this dish in winter, it would work well with frozen corn and other add-in vegetables of your choice. Heat a nonstick skillet over medium heat. 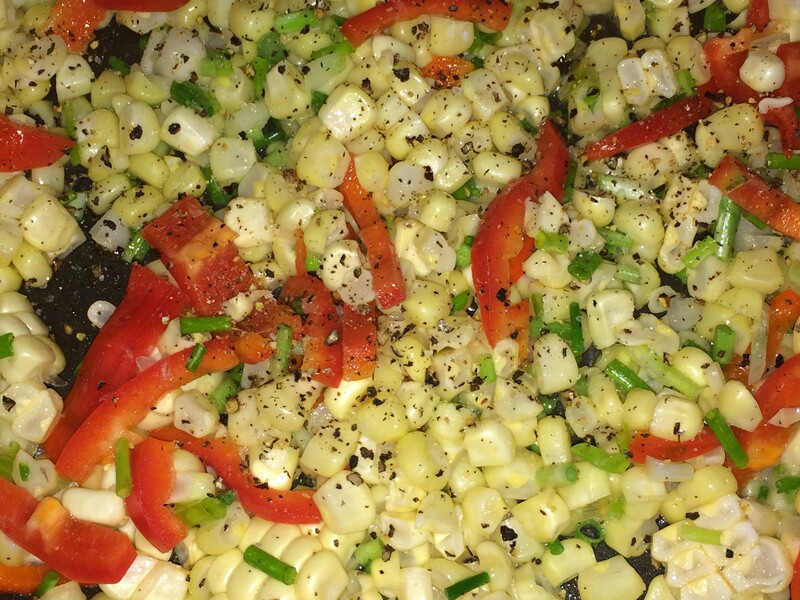 Add one tablespoon of butter for that summery flavor, or olive oil if you prefer to remain fully vegetarian. Toss the chopped vegetables in and saute for about three minutes until they soften a bit but still have their texture. Add salt and pepper to taste, and serve.